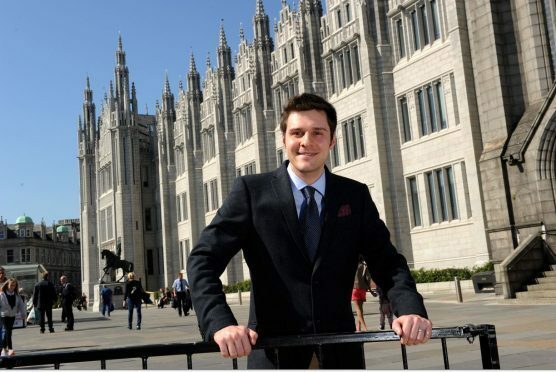 Scottish Conservative MSP, Ross Thomson, has criticised Banff and Buchan MP, Eilidh Whiteford, for voting against the UK Government’s timetable for triggering Brexit. He pointed to research, showing a majority of her constituents voted to leave in the EU referendum, and accused her of failing to represent their views in Wednesday’s Commons debate. However, she hit back, saying it would be a “betrayal of responsibility” to write the Conservatives a blank cheque for a so-called hard Brexit. MPs overwhelmingly voted in favour of triggering Article 50 no later than the end of March after the UK Government agreed to publish its Brexit plans. Theresa May successfully saw off an anticipated backbench rebellion by making the concession in an amendment to Labour’s non-binding motion earlier in the week. Mr Thomson, who campaigned for Brexit, said research by Chris Hanretty, from the University of East Anglia, demonstrated that 54% of people in Banff and Buchan were against remaining in the EU. The UK was split up into council areas for the referendum, but he has calculated the Leave vote share in every Westminster constituency in the country. Mr Thomson added: “I know from my own experience during the referendum campaign the strength of feeling among the fishing communities of the north-east, and I am not surprised by the figures. “Eilidh Whiteford now has to explain to those constituents why she is actively trying to block the Brexit process. In response, Ms Whiteford argued that the north-east, like the rest of Scotland, had voted Remain by a convincing margin. She added: “Clearly, the vote in Banff and Buchan was very close, but with still no plan for Brexit, and real risks to local jobs and livelihoods, it would be a betrayal of responsibility to write a blank cheque for the so-called ‘hard Brexit’ the UK Government wants to pursue.